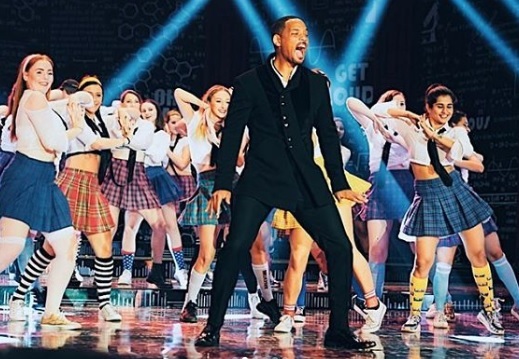 Will Smith is on a roll. He jumped out of a plane for his 50th birthday and is now learning Bhangra in Bollywood. Smith is in India and dropped by the set of Student of the Year 2 in Mumbai. 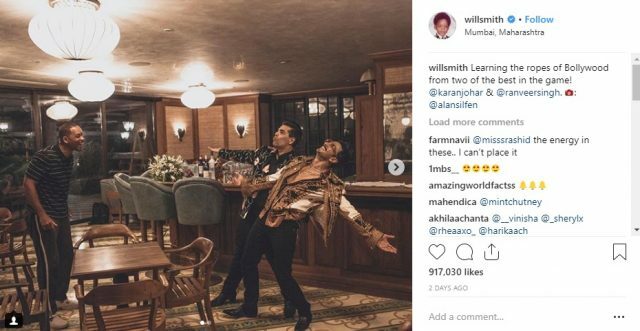 He shared some shots of himself dancing with the cast of the movie and a couple of selfies. In his Instagram caption he thanked them for letting him “play”. He is going to be in the movie but there’s very little known about his role. He also met Bollywood stars Karan Johar and Ranveer Singh at a restaurant in Mumbai where he said he learnt the ropes of Bollywood. Earlier, he also attended the Hindustan Times Leadership Summit on October 6 where he learned how to bhangra dance from movie star Farhan Akhtar. Smith has been dancing around the world. Who can forget his epic version of the Kiki Challenge on top of a bridge in Budapest?